Here to Serve Restaurants will soon open their fourth area Noche restaurant. The newest Noche will open in Johns Creek in a former little Azio eatery and is scheduled to open in October. The first Noche opened in Virginia-Highland and was followed in 2009 by a second location in Vinings and then a third in Brookhaven in 2010. The TOWN Brookhaven location has proved wildly popular, and is one of few bright spots in the development with numerous DeathWatch'd eateries. Noche's Johns Creek location will be within Camden Village on Old Alabama Road, near Jones Bridge Road. The center is already home to the popular Marlow's Tavern, as well as a Rite-Aid. Additionally, contrary to earlier intel, Cantina Taqueria & Tequila Bar will not be closing and making way for a Rio Bravo reboot. Ray Shoenbaum does have hopes of reopening Rio Bravo, and was at one point in talks for the space, but it seems he has turned his attention elsewhere. Cantina, for what it's worth, has seen an improvement in sales despite what I found to be terrible service. Also, in doing my research for this post, I discovered that Here to Serve has (recently) revamped their entire website and it is far more user friendly. What is your favorite Here to Serve restaurant? 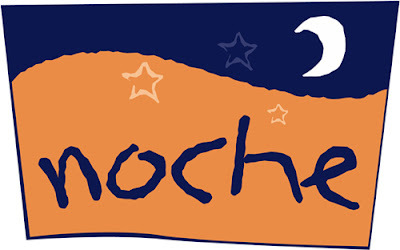 Do you live in Johns Creek and were just waiting for a restaurant like Noche to open? Do you have a great location in mind for a Rio Bravo reboot? Please share your thoughts in the comment section below.